B/A Products is a master distributor for all of your TowMate™ needs. TowMate™ delivers the most advanced wireless lighting systems available. 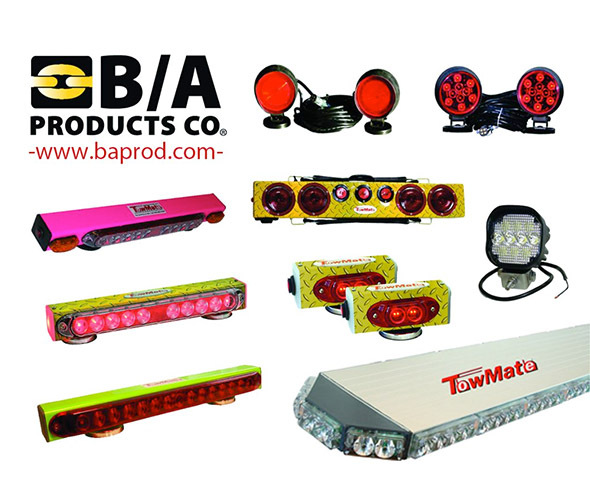 Standard B/A plug in tow lights and work lights are also available. We sell through distributors worldwide. For more information call 800-327-3301 or visit www.baprod.com.